Today: Enough with the pastries, the French toast, the sticky buns: here's a game plan for a different kind of brunch. I'm here to tell you what you really want to eat right now. You thought you wanted cookies, right? Yeah, that was two weeks ago. Oh, now you want sticky buns and doughnuts? After a few bites, I don't think you do. Scalloped potatoes and a giant rib roast and hunks of cheese sound nice -- but not, like, right now. Right now, I think you want enchiladas. Because you need something to break up the season of the cream and the sugar and the butter. You need spice and savoriness and an easygoing drink. You want to host a party to give people what they want, and not what the time of year says that they want. And because it's the holidays, and it's a time for fun and for sharing and for impeccable hosting, you want throw a brunch that you can make mostly in advance, with a beer cocktail in your hand. Here's how to pull off the brunch you'll actually want to eat this season. A few days before: Make the dough for your Two-Bite Buckeye Cookies. (If you're smart, you'll double the batch.) Put it in the freezer. The day before: Make your enchilada sauce and filling. 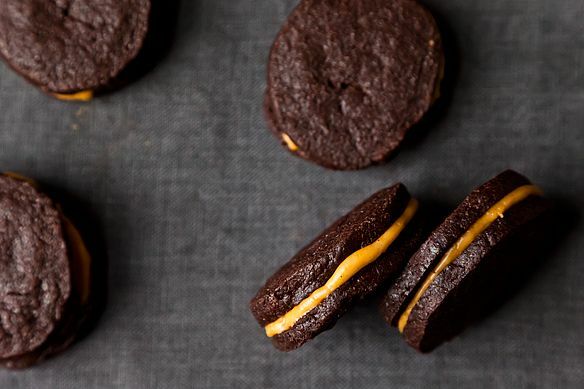 Finish baking your Two-Bite Buckeyes. The morning of the party: Get ready to roll! 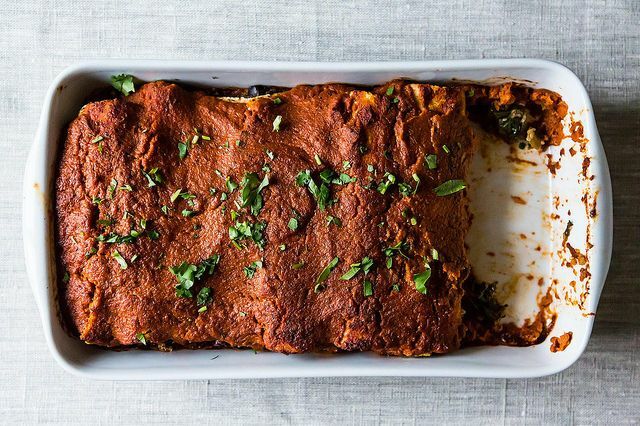 Wrap up your enchilada filling into tortillas, and get them all in a baking dish. You can put it back in the fridge for now; you'll bake it all once your guests start arriving. When your guests show up: Pour your enchilada sauce over your tortillas, and stick it all in the oven. 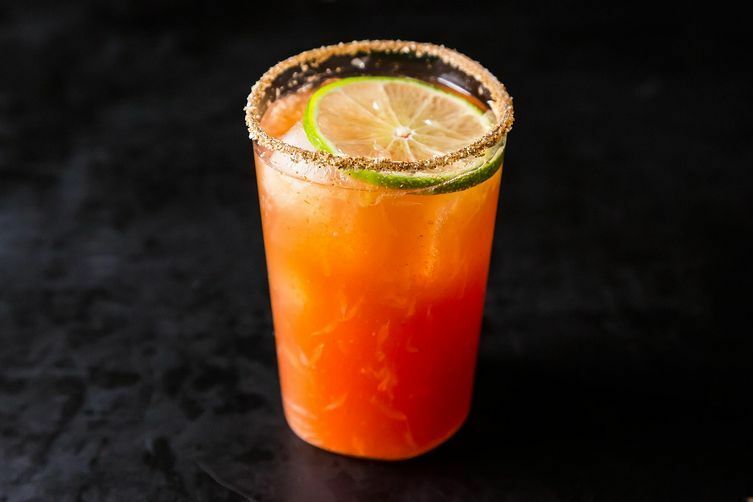 Start making micheladas (or put a trusted friend on michelada duty while you lay on your couch and drink a few). When it's time to eat: Put a sheet pan of bread into the oven to toast -- and start scrambling those eggs! When they're almost set, take them off the heat, bring them to the table, and set out the toast and enchiladas. Dessert! Serve your cookies with a glasses of milk, and give everyone a cute bag to take home. It is the holidays, after all. red enchiladas were a christmas standard during our years in new mexico, and we've kept up the tradition for christmas eve day. we'd have a dish called kelites at easter, but i love to pair it with the enchiladas: shredded kale cooked in olive oil, garlic, and onion, topped with red chile. thankfully, i have family still in new mexico sending me pods! This looks great. My family's traditional Christmas morning meal is chile relleno casserole with warm tortillas and fresh salsa. (Just eggs, roasted poblano chiles, and a mix of Mexican cheeses) I will have to dress it up with some of these suggestions!